Your system will be able to handle the latest games, high definition digital video, and Windows VistaTM with aplomb. 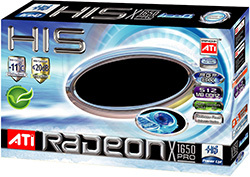 The HIS X1650Pro is capable of displaying a billion colors more than competing graphics cards, boasts one of the highest video performance scores in the industry, and can bring today's top games to life through outstanding shader performance and simultaneous high dynamic range lighting and full screen anti-aliasing, available only with ATI products. Bought this card for replacement in an old AGP system with a Pentium 4 3.2Ghz and an aging nVidia 5200 card. This card played The Sims 2 with no worries and ran first person shooters and Spore just fine. After upgrading the RAM to 3GB, gaming was even better. Highly recommend this card if you dont want to shell out the big bucks (+150AUD) for a 2600 or 3650. 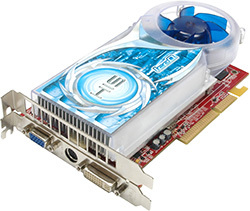 Is a good card especially on older systems like mine, i had one but it fried on me!!! i was playing call of duty 4 one day and it fried!! !, i didn't have it overclocked or anything, and it fried!! !